Cufa’s podcast, Conversations in Development, will be releasing a new episode to mark World Tourism Day on Thursday 27 September. A new guest will be welcomed to discuss volunteer tourism with the hosts. The episode will reveal the complexities of volunteer tourism. This follows on from episodes on microfinance, child labour and other important development topics. Volunteer tourism is a form of tourism in which travellers participate in voluntary work, typically for a charity. This particular form can be a very divisive topic. It can be extremely beneficial for many involved. Adversely, however, there are often negative implications for unskilled tourists working in developing countries. 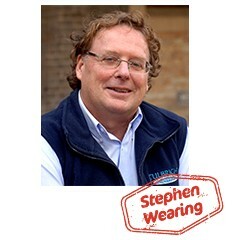 Stephen Wearing joins the episode as an expert guest in the field. He is a conjoint professor at the University of Newcastle and an associate professor at the University of Technology Sydney. His research focuses on sustainable tourism and the importance of community-based approaches in the tourism and volunteering sector. Stephen also ran VOICE Volunteers in Community Engagement for 22 years. This was a not-for-profit organisation that sent volunteers on grassroots, community-identified development projects. The episode explores the multi-billion dollar industry of volunteer tourism. Podcast hosts, Dr Peter Mason and Olivia Rosenman, join with Stephen discussing what we are missing in an industry that is rarely researched and empirical data is scarce. Stephen uses his expert insight to describe how the industry is changing. Additionally, he explores how it could be regulated and how the media plays a role in popular perceptions of volunteer tourists. Get up to date by listening to the previous episodes. Simply search “Conversation in Development” into Apple Podcasts or your favourite podcast streaming service. Episode 5 on volunteer tourism streaming from World Tourism Day, Thursday 27 September 2018.